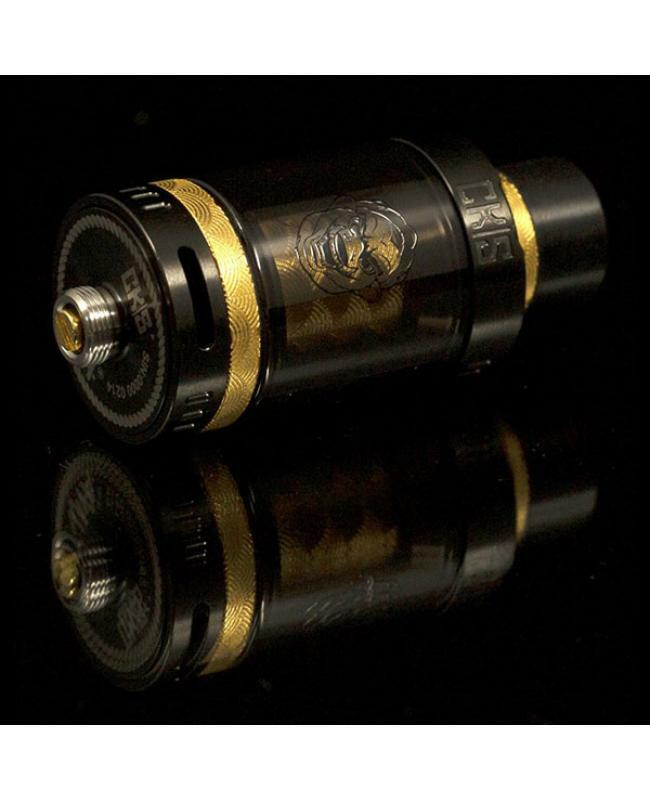 Newest CKS number 9 sub ohm tank, made of brass, stainless steel and pyrex glass, only black gold color available, this new CKS tank with all CKS best designs, gold pattern engraved onto the bottom outer ring of tank and outer ring of the drip tip along the CKS logos engraved onto top ring, the unique coil heads housing is adorned with signature pattern all around the piece and dipped in 24k gold. 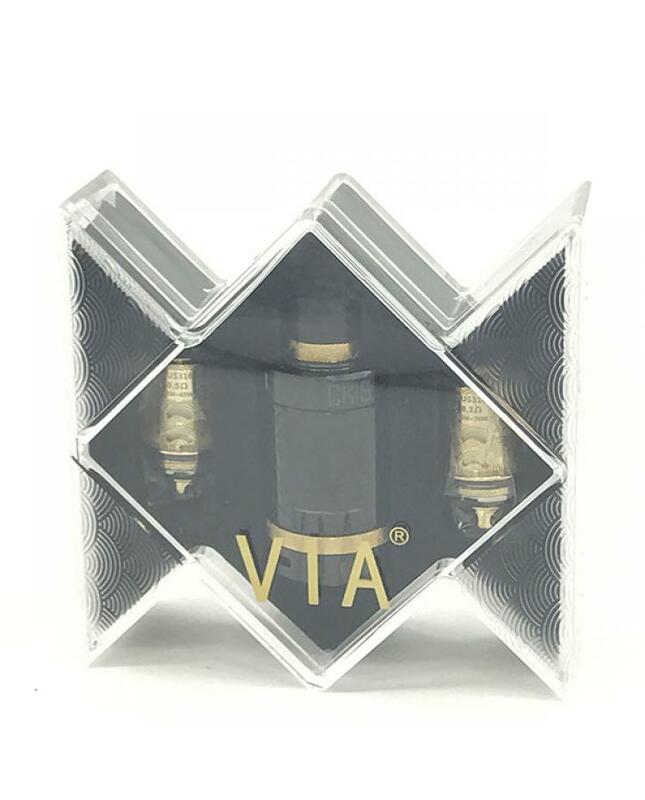 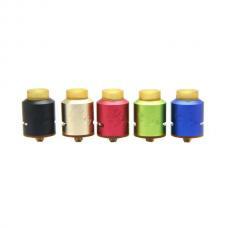 cks number 09 tank comes with 0.2ohm and 0.5ohm SS coil heads. 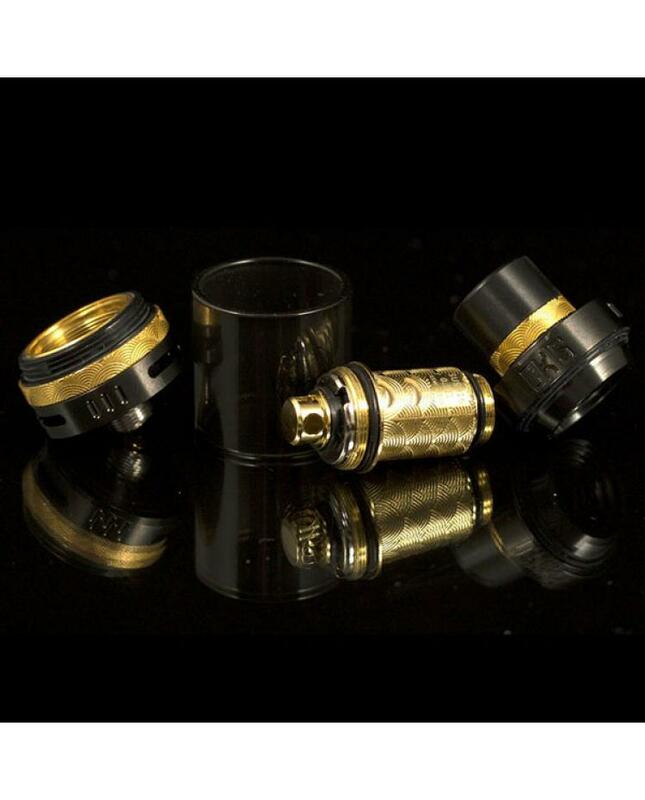 those coil heads will bring vapers fantastic taste of flavor. 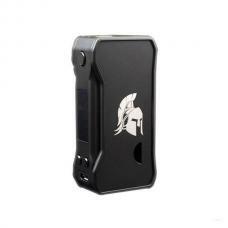 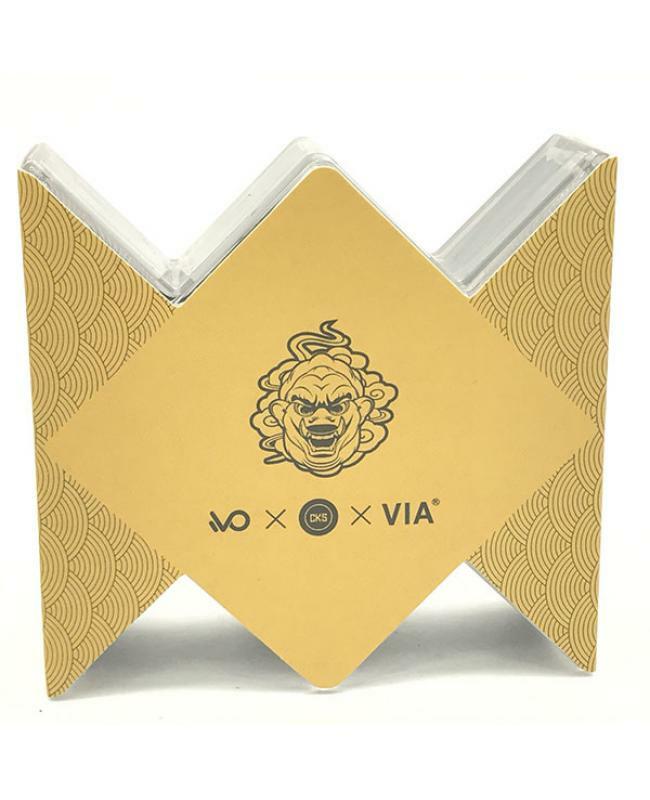 recommend works with ICON 200W TC box mod.